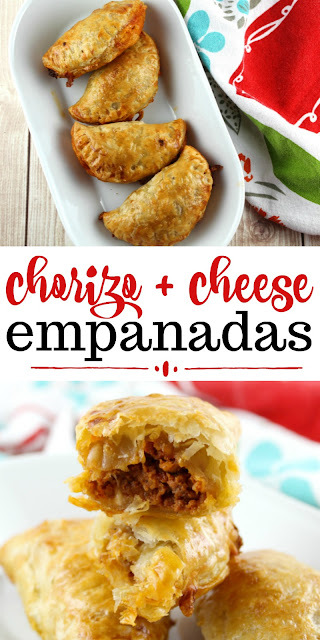 Recipe: Chorizo + Cheese Empanadas | The Food Hussy! This post is sponsored by V&V Supremo® . All opinions are my own. I love when I find a quick easy dinner and can change it up based on what's in my fridge! A while back I made these pulled pork empanadas and they're so tasty! 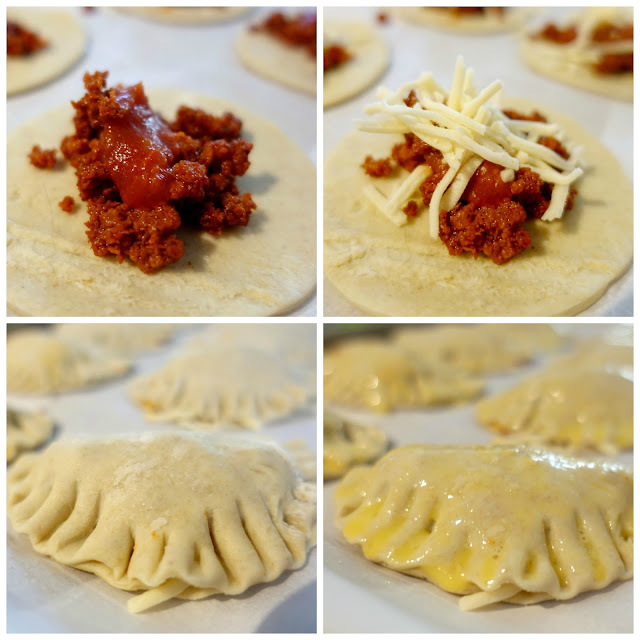 But today - I had chorizo in my fridge - so swap the pulled pork and now we have Chorizo + Cheese Empanadas! 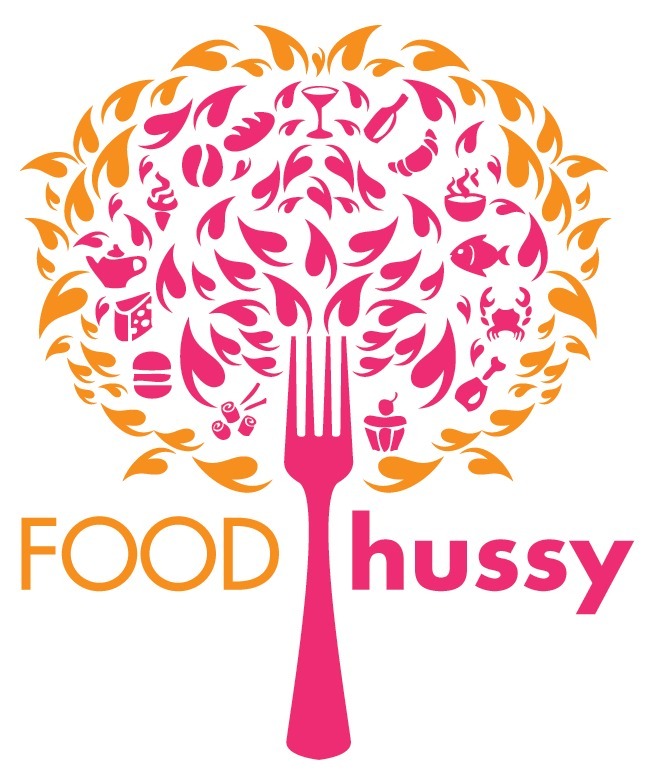 Just as delicious and SO SIMPLE! These are cheater empanadas because I use puff pastry for the dough - you're basically making a little hand pie. This is perfect with a little salad and some delicious ranch - dip the empanada, pour it on the salad - you're good! These are so easy to make - you brown the chorizo - which only takes a few minutes - trust me - your oven will take longer to preheat! Then lay out the puff pastry. I had a round cookie cutter (3-4") that I used - so I cut out 8 circles. Add your toppings, fold over and seal with a fork - then baste with a beaten egg. By the time that was done - the oven was ready to go! 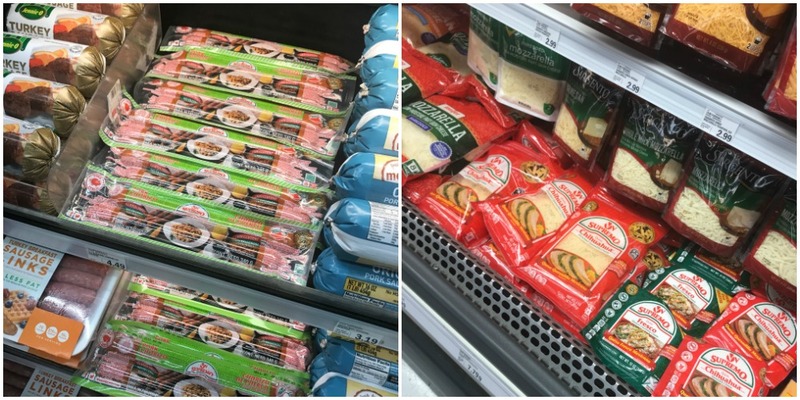 V&V Supremo was founded by Mexican natives in 1964 and is America’s most authentic Mexican cheese – they make all of their own fresh farmer’s cheese in the hand-crafted style of Central Mexico. I love the V&V Supremo brand of chorizo because they have a mild version - while I love chorizo - spicy food attacks me like you wouldn't believe! Not to mention, their chorizo is the highest quality in the U.S. as it’s free of fillers, MSG and gluten. I decided to add some of their shredded Chihuahua® Cheese with the chorizo - it melts really nicely and I'll have leftover cheese for quesadillas! They only take 15-20 minutes to bake and that egg baste makes them a perfect crispy golden brown. They're so light and flaky! It's always fun to have some ideas for dip as well - I just went simple with sour cream but they would be great with queso or even that mayo+ketchup combo! There's a local empanada food truck that has a pink sauce and it's basically just that. Yum! I promise everybody will love these little hand pies! They're quick and easy and fun to eat! And they're made even better with the authentic aste of V&V Supremo Chorizo & Chihuahua Cheese! These super quick and easy empanadas are the best for a busy weeknight dinner. You brown the chorizo while the oven is heating up and 15 minutes later - dinner is served!